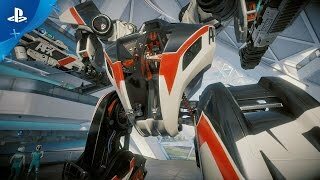 RIGS: Mechanized Combat League (game, 2016). A first-person shooter sports video game by Sony Interactive Entertainment. Developed by Guerrilla Cambridge. Official Trailer. RIGS: Mechanized Combat League is a first-person shooter sports video game by Sony Interactive Entertainment, developed by Guerrilla Cambridge. RIGS Mechanized Combat League - Winter Season Update Trailer I PS VR. Players take control of large mechs known as "Rigs", as they compete in a professional sports competition set 50 years in the future. The sports competition takes place in an open arena based in real-world locations such as Rio de Janeiro and Dubai. The overall gameplay consists of a five-minute match divided into two halves. Six players are grouped in two three-man teams. Rigs are equipped with a variety of weapons loadouts, which players can use to score a Takedown by destroying an opposing team's Rig. There are three playable match types in the game: *Team Takedown: A match type similar to team deathmatch, where two teams race against each other to score the most takedowns within five minutes. *Power Slam: Two teams compete against each other to score the most points by jumping into a ring in the middle of the arena. Before doing so, players must first enter the Overdrive mode by scoring takedowns and/or collecting power spheres. *Endzone: In the same vein as American football, two teams attempt to take control of a holographic ball and score by running through the opposition's goalpost while in possession of the ball. There are four Rig classes in the game, each with unique characteristics: Sentinel, Hunter, Mirage, and Tempest. There are a total of 24 Rigs available to players. Each individual Rig also comes with its own weapons loadout and ability, e.g. Nine Lives is a Mirage-class Rig with the Vampire ability which restores the Rig to full health upon taking down an opponent, and a weapons loadout consisting of a warhead missile launcher and a beam laser emitter. Players take control of large mechs known as "Rigs" as they compete in a professional sports competition set 50 years in the future. The sports competition takes place in an open arena based in real-world locations such as Rio de Janeiro and Dubai. 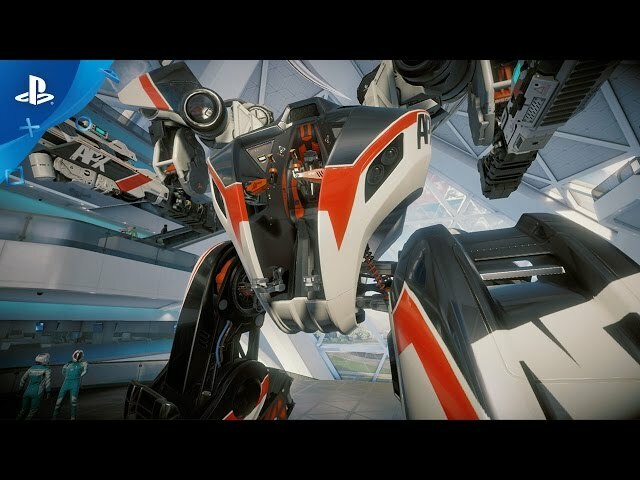 RIGS: Mechanized Combat League was scheduled to be released by Sony Interactive Entertainment on October 13, 2016.